Notes from Addis: Netsa Art Village – Nikki G Ph.D.
A day spent around art and artists is always already a good day, and I went to the Netsa Art Village in Addis Ababa. I had the privilege of getting to know the artists and their works on view and in the studio/storage spaces available to the eleven artists who have committed to making the Netsa Art Village, established in 2008, a thriving contemporary art venue. With few financial resources or government support, these artists do it all from managing everyday administrative duties to constructing the very exhibition spaces needed to display their works. In addition to serving area children through workshops and community projects, this grassroots organization is building on a small, but eager contemporary art scene. In fact, from what I observed, they are defining it. When I decided to come to Ethiopia to teach at the Alle School of Fine Arts and Design, I thought that teaching alone would suffice. I know now that more must and can be done by way of scholarship on contemporary art in Ethiopia. I feel obligated to write more. Not in this space, but more will come. More must come. Art from the African continent has long been an afterthought on the art market, in art criticism and on the pages of important journals, Nka: Journal of Contemporary Art, African Arts, and, most recently, Transition, notwithstanding. I hope to add my voice to the choir (through a formal article) of those who would like to advocate for artists and locations like Netsa Art Village in Addis Ababa that keep art communities alive and thriving through passion, commitment and undying energy despite many obstacles, especially bureaucratic, in order to provide knowledge of and access to fine arts. Netsa is a membership organization which exists to stimulate the quality, development and context for contemporary art practice in Ethiopia. We aim to broaden the constituency for contemporary art in a global environment by initiating and facilitating professional networking and communication, a dynamic exchange of information and presentations of examples of good practice. It is founded on a willingness to work together to identify and pool resources, meeting challenges with efficient channels of communication, collective problem-solving, and sharing knowledge and experience. Entrance to State Park which houses Netsa Art Village. Photo by Nikki A. Greene. On the way to Netsa Art Village, held within a public park. Addis Ababa, Ethiopia. Photo by Nikki A. Greene. Netsa Art Village. Photo by Nikki A. Greene. Netsa Art Village. Addis Ababa, Ethiopia. Photo by Nikki A. Greene. Pavilion under construction. Netsa Art Village. Addis Ababa. Photo by Nikki A. Greene. Pavilion. Netsa Art Village. Addis Ababa. Photo by Nikki A. Greene. Pavilion under construction. Netsa Art Village. Photo by Nikki A. Greene. Netsa library under construction. Netsa Art Village. Photo by Nikki A. Greene. Checking out the website: http://www.netsaartvillage.com. (standing) Nikki A. Greene, Daniel Alemayehu, Tamrat Gezahagne, Helen Zeru, Tesfahun Kibru; (sitting) Mihret Kebede, computer guy, Mulugeda Kassa. Photo by Demissew Mersha. Director of Netsa Art Village, Artist and Poet, Mihret Kebede. Work by Netsa Art Village. Photo by Demissew Mersha. Work by Mihret Kebede. Photo by Nikki A. Greene. Mihret Kebede. Netsa Art Village. Addis Ababa, Ethiopia. Photo by Nikki A. Greene. Work by Mihret Kebede. Netsa Art Village. Photo by Nikki A. Greene. Daniel Alemayehu at work. Netsa Art Village. Photo by Nikki A. Greene. Daniel Aleymayehu. Photo by Demissew Mersha. Netsa Art Village studio & storage space. Paintings by Tamrat Gezahegn. Photo by Nikki A. Greene. Tamrat Gezahegn, Exhibition Manager, with work. Netsa Art Village. Addis Ababa, Ethiopia. Photo by Nikki A. Greene. Painting by Tamrat Gezahagne. Netsa Art Village. Photo by Nikki A. Greene. Tamrat Gezahegn. Netsa Art Village. Addis Ababa, Ethiopia. Photo by Nikki A. Greene. Mulugeda Kassa. Netsa Art Village. Photo by Nikki A. Greene. Tesfahun Kibru with multiple works. Netsa Art Village. Photo by Nikki A. Greene. Tesfahun Kibru. Train. Netsa Art Village. Photo by Nikki A. Greene. Work by Dawit Adenew. Photo by Nikki A. Greene. Work by Dawit Adnew. Netsa Art Village. Photo by Nikki A. Greene. Nikki A. Greene, Daniel Alemayehu, & Tamrat Gezahegn. Work by Dawit Adnew. Netsa Art Village. Photo by Demissew Mersha. Netsa Artist & Poet, Netsa Art Village. Addis Ababa, Ethiopia. Photo by Nikki A. Greene. Tamrat Gezaheagne & Nikki A. Greene. Photo by Mihret Kebede. Nikki A. Greene with photographer Helen Zeru. Netsa Art Village. Addis Ababa, Ethiopia. Photo by Demissew Mersha. Nikki A. Greene. Netsa Art Village. Photo by Demissew Mersha. Hard work, a cooperative spirit, and an inspirational vibe are found here at Netsa Art Village. Pingback: The Grind: Going to Ethiopia (or Can Parents Have it All?) 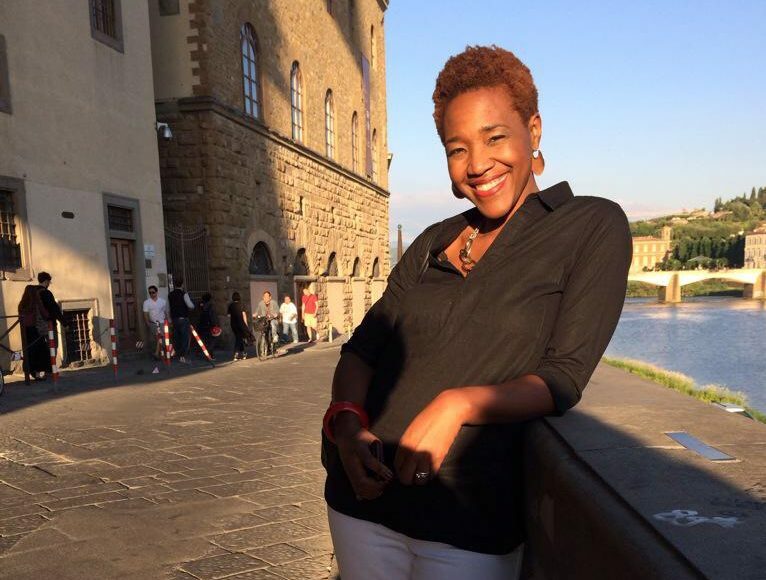 | Nikki G Ph.D.
Pingback: Notes from Addis: Departure | Nikki G Ph.D.
Dera Nikki . this is amazing my dear, it was really a pleasure having you in our art village..we all miss u !!! will never forget your lecture specially Uruba at the school of fine arts school A.A,Nigeria….love . Mihret!!! Miss you, friend. I’m speaking today at Wellesley about Netsa Art Village. I look forward to our future conversations. hey Nikki that is awesome spread the word dear….u know how it is like out here….Today i have attended a movie discussion about Mozambique artists collective called MUVART at the national museum …impressed by how most of our situation and challenges are similar…..have you heard about them????? Pingback: Notes on Addis: A Look Back | Nikki G Ph.D.